"You’ll find Osprey’s women’s specific Mira AG™ 26 is ideal for a day hike. The Anti-Gravity (AG™) suspension system—combination of LightWire™ frame, mesh backpanel, BioStretch™ shoulder harness and AG™ hipbelt—distributes weight to keep you comfortable no matter how far you roam. 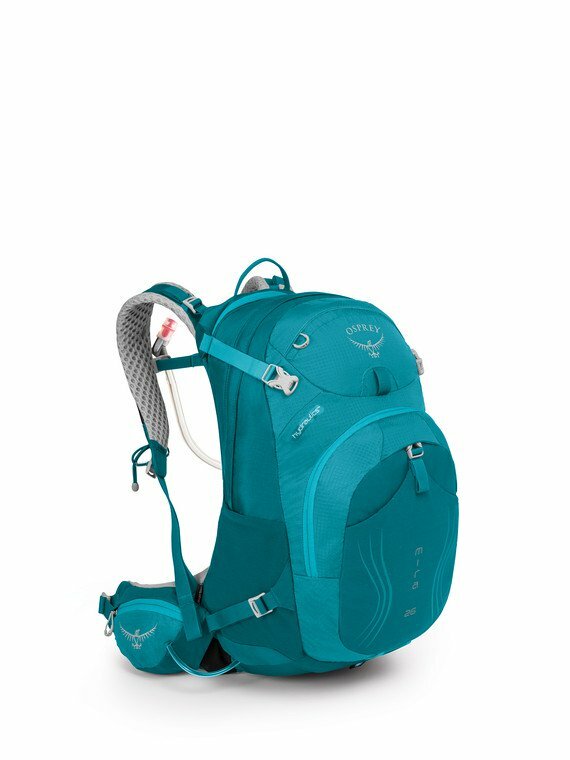 Dual upper and lower compression straps help stabilize the load and provide add-on storage options if you have extra bulky gear. 1465 in3 / 24 L | 18h x 12w x 12d in. | 2.51 lbs "